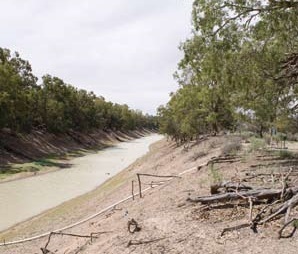 A Senate motion by the Greens last week prevented planned changes to the Murray Darling Basin Plan that would have reduced the amount of water being returned to the environment in southern Queensland and northern NSW. The Federal Government has sought to reduce the amount of water it acquires for the environment in the Northern Basin by 70 gigalitres, providing more to irrigators and reducing pressure on farmers. The Victorian and NSW state governments backed the amendments in the hope of providing job security for their states' irrigators. There is now concern that the states will pull out of the deal entirely. The Greens and Labor say they want an independent audit into corruption and water theft allegations, greater community consultation and consideration of environmental impacts. The experts say important points are being missed. Professor Quentin Grafton (Professor of Economics and Director of the Centre for Water Economics and Policy at the Crawford School of Public Policy at ANU) and John Williams (Adjunct Professor at the Crawford School of Public Policy at ANU) have issued a joint statement laying out the facts of the situation. They make the following four specific arguments. The irrigator lobby group and the state water ministers’ objections to the disallowed amendment is all about money rather than water. The volume of water in the amendment is less than 1 per cent of the annual average surface water diverted by irrigators in the Basin. What bothers them is that this disallowance may be the ‘thin edge of the wedge’ that will stop billions more of taxpayers’ dollars being wasted on efficiency and infrastructure projects that deliver virtually no public benefits, but provide very large private benefits to irrigators. “It’s time to lift open the bonnet and see what is really happening in the engine of the Basin,” the pair said in a statement. “It’s time for a full, independent scientific and economic audit of the billions spent on water recovery, and what it has delivered.